The C.A.M. Report » Blog Archive » Does pomegranate interact with blood thinners? Does pomegranate interact with blood thinners? Â In this patient, it appears there was greater “blood thinning” effect when pomegranate was taken with warfarin (Coumadin), according to this report. A 64-year-old woman was treated with 4 mg/day of warfarin to treat deep vein thrombosis. Treatment was ongoing for several months, and the international normalized ratios (INRs) were stable. INRs are used to monitor the effect of anticoagulant drugs. During this time, she was drinking pomegranate juice 2 to 3 times each week. Then, she stopped drinking the juice, and her INRs became too low. Her dosage of warfarin was increased to maintain therapeutic anticoagulation. For obvious reasons, there was no attempt to restart drinking the pomegranate juice due to the potential bleeding risk to the patient. 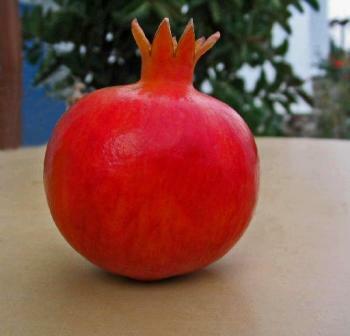 However, Dr. Kathy Komperda from the Midwestern University Chicago College of Pharmacy, in Illinois supports her conclusion based on animal and laboratory studies that suggest a potential for pomegranate juice to inhibit metabolism of warfarin by the cytochrome P450 liver enzyme system — an effect that could translate into a clinical drug-diet interaction with warfarin. This entry was posted on Sunday, August 9th, 2009 at 7:02 PM	and is filed under Bleeding Disorders, CAM Interactions, Pomegranate. You can follow any responses to this entry through the RSS 2.0 feed. You can leave a response, or trackback from your own site.